During the next few months, there will be much discussion about transit. I want to ensure residents are aware of my support and position on transit. I understand the significant role transportation plays in our City’s economy, and in the quality of life for our citizens. Transit has been and will continue to be a top priority of mine. I supported implementation and City funding for Transit’s U-Pass for post-secondary students, and the study to investigate a subsidized fare for riders. 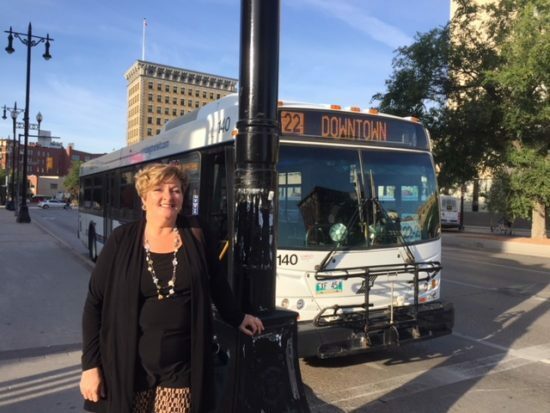 Most recently, I supported the Federal funding application for additional monies to study future rapid transit routes throughout Winnipeg. I do recognize Winnipeg is growing but is also a City with that has many old infrastructure funding requirements. At this point, I am not convinced more rapid transit corridors are the answer to our City’s transit woes. More busses are – high frequency and reliable service is what I am hearing people want. I look forward to the Transit Report. Rider and Driver Safety is a serious issue. I have supported every motion to improve safety on transit, but know more must be done. I think drivers should drive and not deal with fares. I am very open to seeing trained enforcement on buses. In summary, efficient on time transit should be one of the City’s top three transportation priorities. I will continue to be a strong advocate for increased transit and will continue to work closely with ATU, Functional Transit and transit advocates.